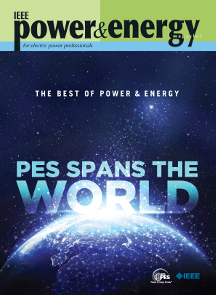 This year's compendium highlights the best articles appearing in Power & Energy Magazine in 2014. Download the PDF version by clicking the link below. Download the complementary digital version through the link provided below. Looking for the 2014 IEEE Power & Energy Compendium? Find it here. Looking for the 2013 IEEE PES Smart Grid Compendium? Find it here.